Deaf Havana have had an amazing few months since the release of their acclaimed album "Fools and Worthless Liars" at the end of 2011. Tickets for the recent tour are in hot demand with most selling out and the venues having to be upgraded to a higher capacity. So, Est.1987 jumped at the chance to hang out with the Kings Lynn four-piece to chat leaving 'screaming' in 2006, playing Leeds/Reading Festival and being the best that they've ever been. Hey, so how’s the tour been going so far, playing sold out shows? JAMES [Veck-Gilodi, vocals, guitar]- Really good, the best shows we’ve ever played; well I think. CHRIS [Pennells, guitar]- Last night was certainly one of my favourite shows. TOM [Ogden, drums]- It’s just been a bit mental, we didn’t really expect it. C- The last proper headline tour we did was eighteen months ago and now coming to do it again we have a record out that we’re all really proud of..
J- Some of the venues are double the size of the ones we’ve ever done before. 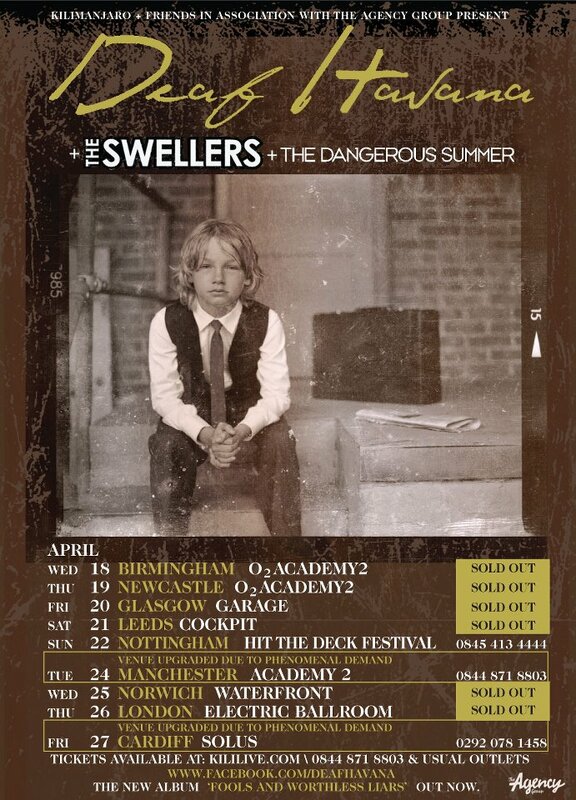 You’re supported by The Swellers and The Dangerous Summer; how are you getting on with those boys? J- Yeah really well. We knew The Swellers from before and then the guy who’s drumming for The Dangerous Summer is from a band called There For Tomorrow and we toured with them last time; so yeah it’s been really good. The latest album, "Fools and Worthless Liars"
You’ve got Matthew, James’ brother, on the road with you now. Does that give the live show a fuller sound? J- Yeah, it just sounds more like it does on the record now; we can do all the harmonies, all the guitars . LEE [Wilson, bass]- It sounds like a proper band now. J- I think it’s the best we’ve ever been. Your latest album “Fools and Worthless Liars”; who’s the biggest fool in the band and who lies the most? J- Yeah, definitely. I think it’s exactly what it needed to be. And I think we’re going to try something different again on the next album; we always feel that there’s no point writing the same album again. L- I think it’s very natural for us to do something else, that’s different. Writing the album, does what you have been listening to around that time affect the songs as well? J- Yeah, too much sometimes. All the songs that we scrapped are ones that were too influenced by a band. I would listen to a band and then the song I would write would sound too much like that band. I think when I write I go through a process of listening back to them, realising that they’re influenced too much and then after that the good stuff comes out and I write again after that. That certainly happened on this one anyway. Do you play some of the older material as well on this tour? C- We thought it was going to be a fairly equal response for the old and new stuff, but the new seems to have gone down better. Even new songs that aren’t necessarily huge ones, which are just album tracks, some of those live have been better than the singles. T- I’ve been to Leeds once and been to Reading. 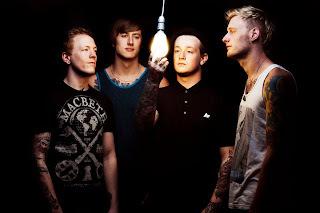 Deaf Havana admittedly never anticipated the success that they’re currently enjoying; playing sell out shows and receiving outstanding reviews for their album which only came out at the end of last year, but is set to be one of the top albums of 2011/2012. Having chatted to the band before they took to the stage here at the sold out Leeds Cockpit gig, we knew that they had worked hard to perfect their live show and were feeling in a good place with the new album and band in general. The Kings Lynn quartet set proceedings off with most recent single “Leeches”, every single person within the crowd singing the words back at lead singer James. 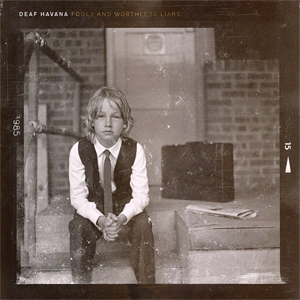 Deaf Havana worked hard to hone their sound; “Fools and Worthless Liars” is the album that best shows who they are as musicians. And the funny thing is that any track on the current album is single-worthy, making for a great live set. “This is me trying to sound more positive than I am because I’m a miserable f**k”, laughs James as the band break into the soaring “I Will Try”. 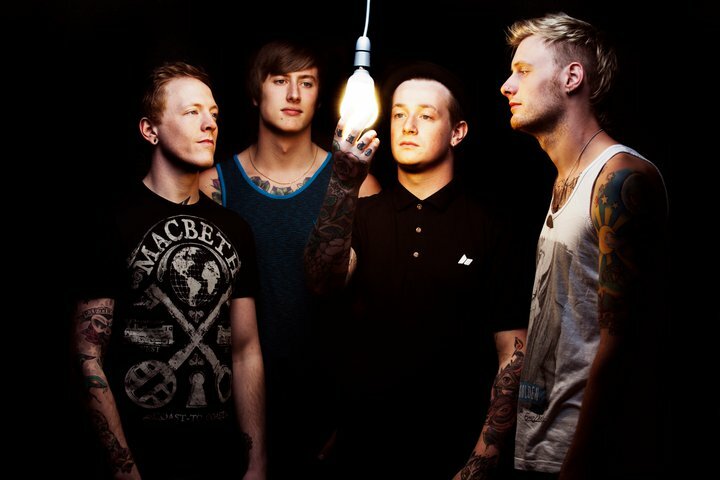 Deaf Havana are a band that are charming; their songs are infectious and the lyrics are easy for an audience to relate to. Older songs “Friends Like These” and “You Are Beautiful” are dropped into the mix and, although harder, still have a catchy edge, and have the crowd singing along; however, become surpassed by new album tracks. Their live show pushes further the grit and passion that is present on the record and delivers it. The raw and emotive “Anemophobia” and the euphoric and anthemic “I’m A Bore, Mostly” strike a chord with the audience; the venue is alive.The band and crowd alike are having fun here tonight and, as Deaf Havana admit, that’s all that really matters.The encore offers a different dynamic and things are stripped back a little with the melodic and folk-rock infused “The Past Six Years” and finishes with closing album track, “Fifty Four”. The band prove that with this album and live set they aren’t afraid to take a different direction, and if the rave reviews don’t confirm its success then the crowd here tonight definitely does. 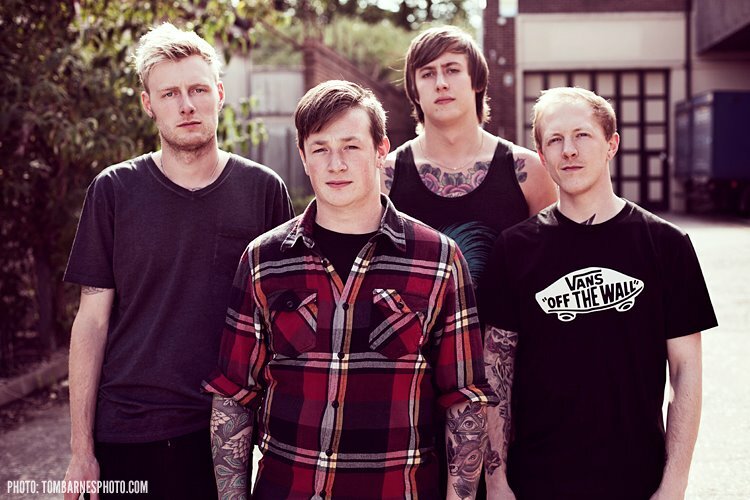 Deaf Havana say that they take things in their stride and don’t like to look too far into the future, however, we predict that the future is looking pretty good for these boys!